SCOM alerts for SCCM components are always a pain point for the operation team. SCCM alerts are a bit noisy as per most of SCCM support teams. I heard from SCOM admins that they wouldn’t prefer to install and enable SCCM Management Pack in the SCOM environment mainly because of the number of alerts which SCCM management pack can introduce in SCOM environment. 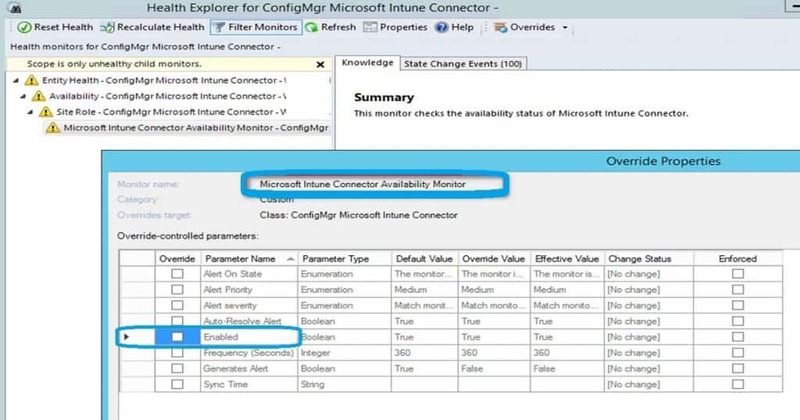 Learn how to tune SCCM SCOM alerts fine. Yes, you can very well monitor your SCCM application or infrastructure with SCOM. For this monitoring, you need to install, configure, and fine tune SCCM Management Pack in SCOM. 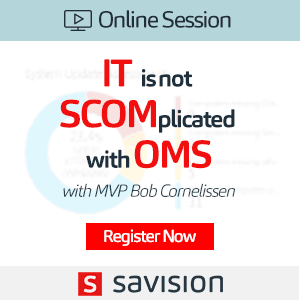 SCCM SCOM Alerts – How to Deal with SCOM Team? How to Fine Tune SCOM Alerts for SCCM? I’m not at all expert in SCOM. 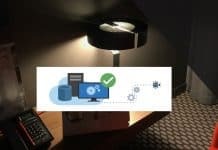 So this post is to help SCCM admins to fine-tune SCOM alerts for their environment. SCCM SCOM alerts can be noisy, and I will try to contribute to fixing this issue. First of all we need to get some understanding of what is SCOM monitors and rules for each monitor. Don’t worry about the SCCM monitoring pack name (that is Microsoft System Center 2012 Configuration Manager) in SCOM console. The SCCM MP version 5.00.8239.1009 latest versions of SCCM CB. SCCM Management Pack (MP) helps you to monitor the health of a supported version of SCCM environment. SCCM component monitors are the ones who generate alerts. The rules never cause a SCOM Alert. More details about in the post here. The following list provides some examples of monitors and rules for SCCM Management Pack. SCCM SCOM Alerts can be very noisy if you don’t do the fine tuning of alerts. In this post, I’m not going to concentrate on rules. Instead, I will be helping you to fine-tune SCCM management pack or fine-tune SCOM alerts for SCCM via Configuration Manager Management Pack. Create a custom copy of SCCM MP (best practice as per SCOM standards ). 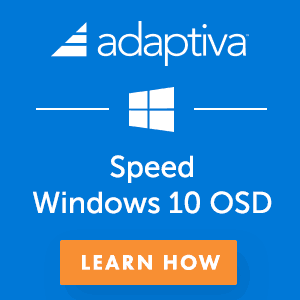 This customization will help enable or disable SCOM monitors as per your SCCM environment. Custom copy of management pack means another copy of SCCM Management pack. 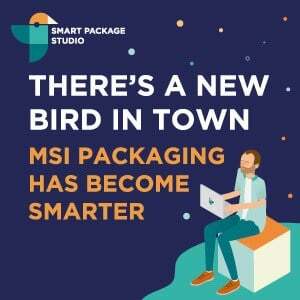 It’s not a time-consuming activity for the SCOM team. 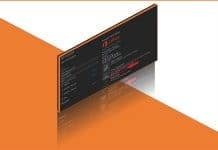 Get a list monitors and rules available in SCCM MP. 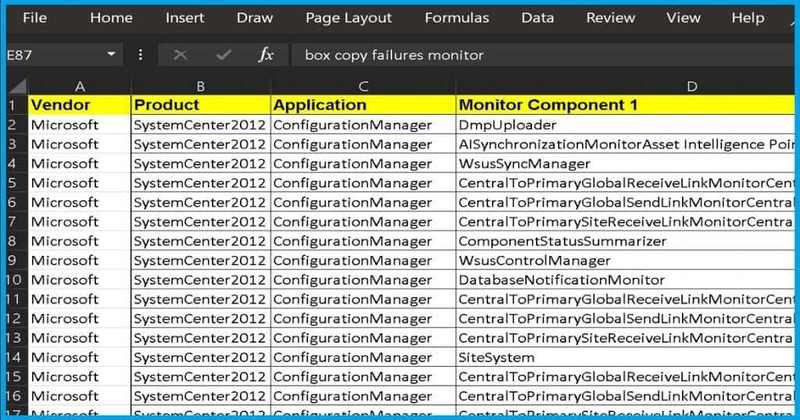 The SCOM team can export the list of out of box SCCM Management Pack monitors from SCOM. Most probably they will provide a list of something like as I shown in the below screen capture. Don’t worry, use your excel skills to make it more readable. The list displayed in the following screenshot won’t help you reduce SCCM SCOM alerts. Once you get the list of SCCM Management Pack monitors from the SCOM team, you can try to make that list more prettier with your excel skills. I will give you an example of a sample excel sheet which I used in the Appendix section of this blog post. Hopefully, the sample spreadsheet will help you to build your own excel sheet for SCCM management pack SCOM monitors. 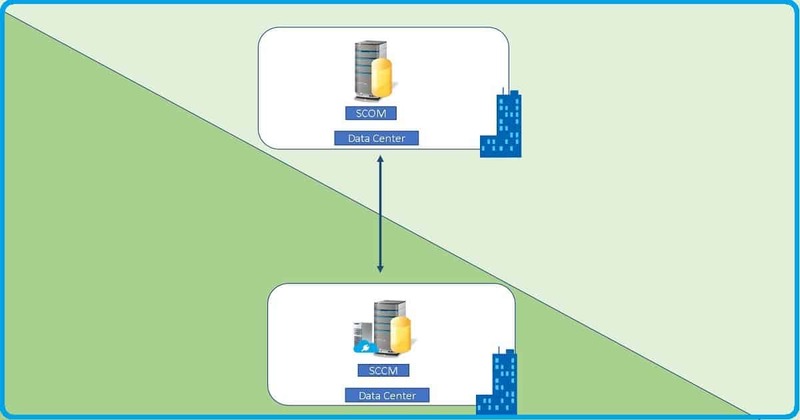 The following steps will help you to reduce SCCM SCOM alerts. Make sure your SCOM team creates a custom copy of SCCM management pack in SCOM, and all the changes are done on that custom Management pack. 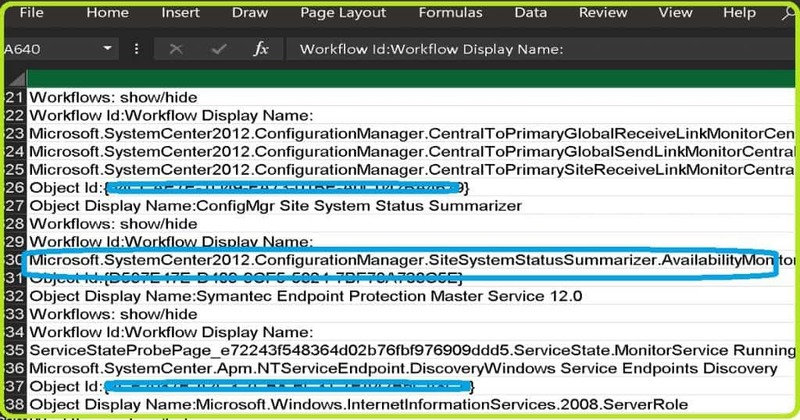 Make sure the monitoring of hardware components, disk space, etc. are already in place. You really don’t want to enable those monitors there in SCCM custom Management Pack. 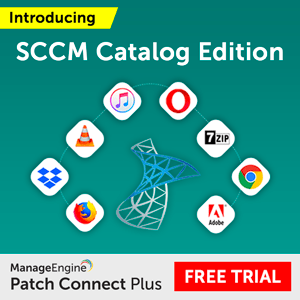 List down the critical features of SCCM that you are using in your organization. Only enable the monitors related to those critical features for your organization. I won’t recommend enabling all the SCCM MP monitors in SCOM for the first time. Check out the alerts and how those alerts are handled by SCOM and automatic ticket generating system within your organization. 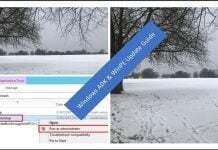 If there are any changes required or you feel one specific monitor is not required for your organization, then disable it or change the rules accordingly. Also, if you missed enabling some critical monitors, then enable those monitors and analyze the alerts. This approach will give you an option to analyze the alerts and fine tune them. The SCCM SCOM alerts will get increased if you enable more monitors. SCCM SCOM alerts are not needed at all. The following is the list of monitors I have enabled for the custom SCCM Management pack. But the list may not meet your organization’s monitoring or SCCM requirements. So I would recommend not to follow this list as it’s. Read along to get more tips to reduce SCCM SCOM alerts. I would like you to treat the following list of monitors as a starting point of your SCCM monitoring and fine tuning efforts. In the below list of monitors, you can see more components specific to SCCM CAS environment which may not relevant if you don’t have a CAS. Similarly, there might be some monitors missing from the below list because that is not relevant for me. For example, secondary server related SQL based replication monitors. You can download the sample list of monitors from the Microsoft TechNet gallery here. I felt this format of the spreadsheet is help to identify the required SCCM Management Pack monitors for your SCOM admins. Let me know your feedback in the comments section. As I mentioned above, this is a very rough list you need to change it as per your requirements. Happy reducing the SCCM SCOM alerts! How to Monitor SCCM with SCOM? Next articleSCCM Mac Management – A Good Idea?